Despite the summer being very wet, the bees are happy and have been very busy. At this time of the year, we remove the Supers from the hives, full or not. We tend to leave lots of Honey for the Bees, not harvesting all that we could. Particularly in a Hive with a large population of Bees, I think that leaving large stores of Honey for the Bees means that more of them will survive the winter and the hives get working earlier in the Spring. 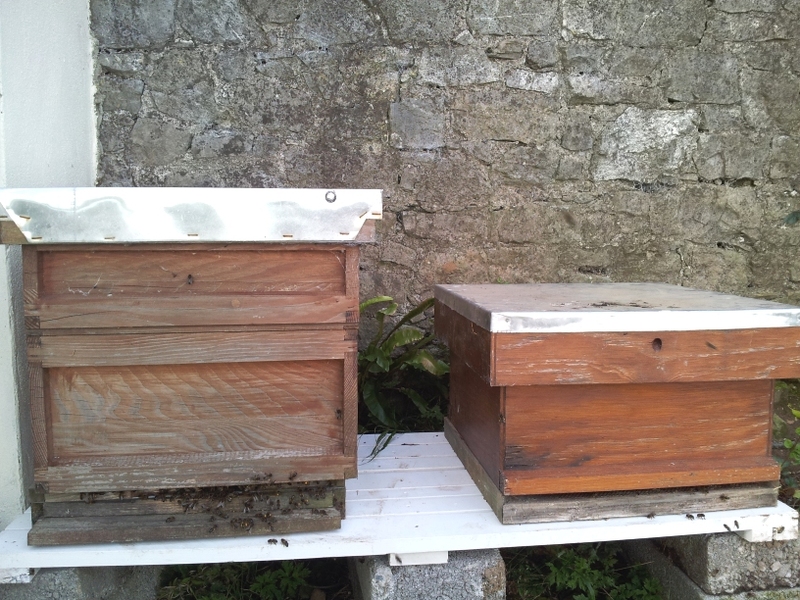 This Autumn we changed the Brood box on one of the Hives to give them a bit more room. The Bees seem to have settled in to their new home and didn’t get too cross during the move. The only other job to do for now is to close up the Hive opening a little to reduce drafts and to make it easier for the Bees to defend the Hive from opportunists like mice! This entry was posted on Monday, October 22nd, 2012 at 11:38 am	and is filed under News. You can follow any responses to this entry through the RSS 2.0 feed. Both comments and pings are currently closed.